Ultimate ease of use now at the wash basin as well. 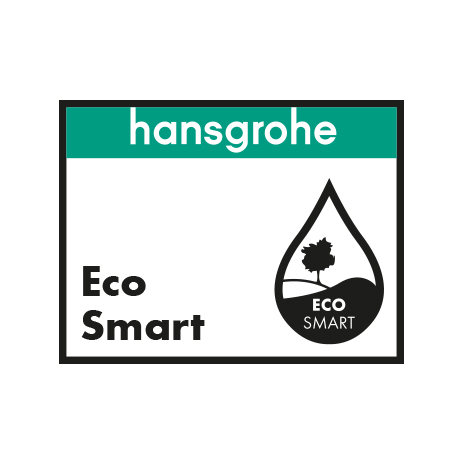 hansgrohe has equipped both bathroom mixer ranges Talis Select S and Talis Select E with Select technology. That means: convenient control of water at the touch of a button. This new mixer generation with its innovative design is not what you expect - it does without an operating lever. 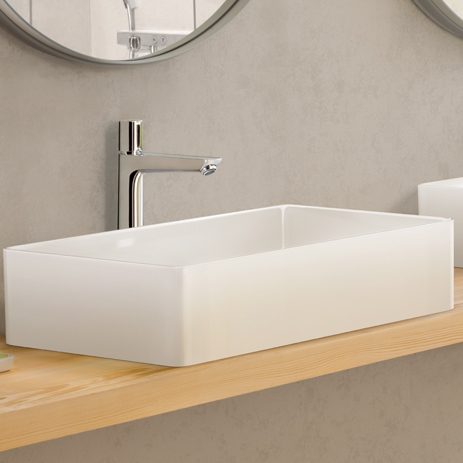 This not only brings both clean lines and functional clarity to the wash basin, but also helps to conserve resources. Precious water is turned off in a split second with the button. And the water temperature? Turn to set. 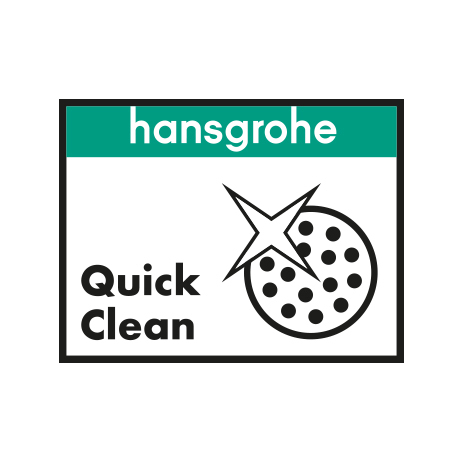 Here you can get an overview of all hansgrohe bathroom mixers. 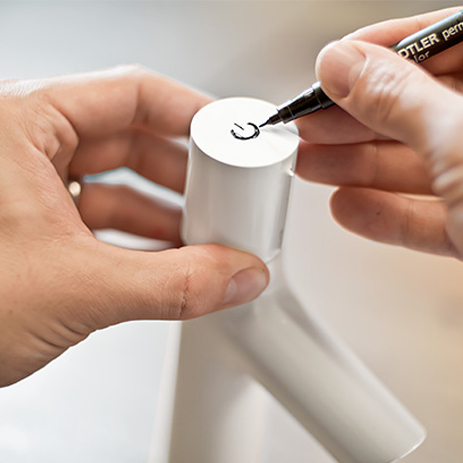 The “S” model is characterised by its round design, while the “E” model features rounded corners. The new mixer generation featuring Select technology is easy to operate with fingers, arms or elbows. Different spout heights ensure that the mixers work with any type of wash basin. Talis Select S basin mixers are available in the heights 80, 100 and 190 mm. 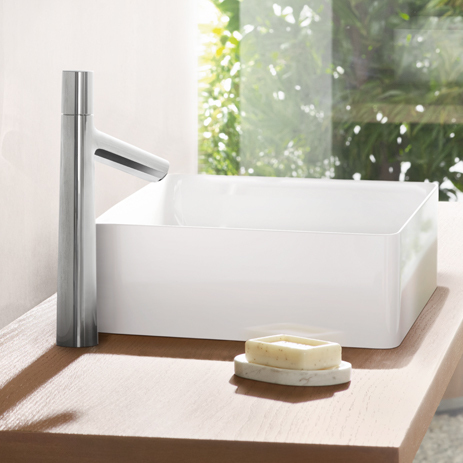 Talis Select E with its different heights (110 and 240 mm) also provides plenty of room between the spout and wash basin. 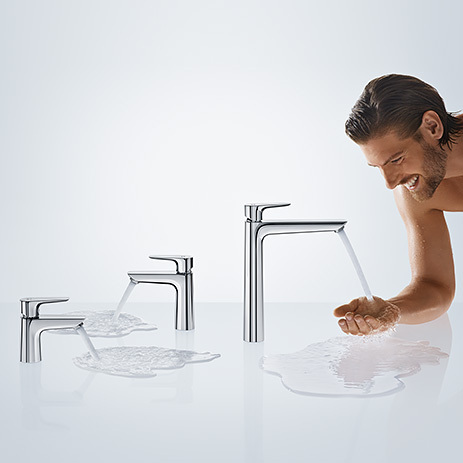 This is what hansgrohe calls ComfortZone. 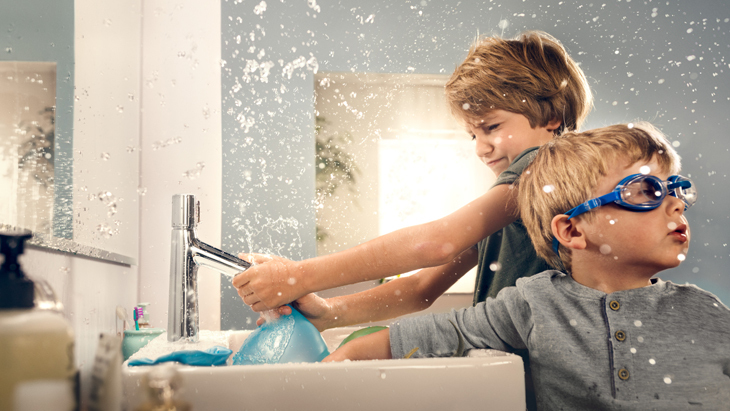 Go ahead and try it out: The hansgrohe ComfortZone test shows you matching wash basin and mixer combinations. This provides harmonious overall design and makes annoying splashes a thing of the past. So, you appreciate the Talis design with its characteristic pin handle or rotatable spout? It goes without saying that the classics will be kept in the range - some of them (Talis S and E) in a new design.